-- Surrounded by magical enemies with an intimate knowledge of her abilities, a matchmaking witch of the highest rank must fulfill both her duty to her coven and her desire for a love of her own, even if the two goals collide. Maeve Lovejoy has always been good at her job even though her service comes at such a high cost. Though her matchmaking abilities are stronger than ever, the most potent in any coven's recorded history, her introduction to Aaron has confused matters. Believing she's found a partner who can love her and allow her to continue practicing her arts, she shares her secrets with him. Is it a coincidence that soon after, that same information is used to locate and murder Maeve's matches? When Aaron goes missing, is it because he is a member of a rival black magic sect or because he has fallen victim? 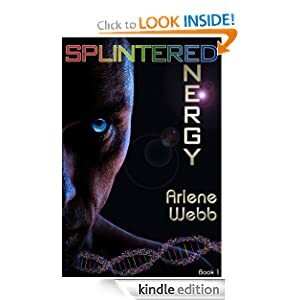 -- Splintered Energy is an Earth-based science fiction/suspense/romance novel, the first in a four book series and not a stand-alone story. Book 2, The R Word, picks up where Splintered Energy leaves off. House of Seven, book 3, leads to book 4, Under Color, the final in the series. -- A young soldier murders his wife and six year old son and then commits suicide, after recently returning from Afghanistan. 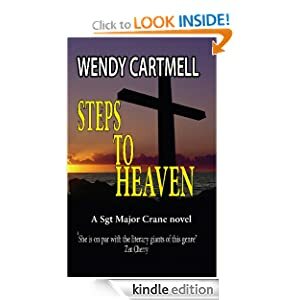 As Sgt Major Crane investigates he finds the soldier had links with a local church. As the body count rises, events take a darker turn and he wonders what the churches are offering - salvation, or slaughter? -- Have you been through difficult times in your life? If so, you are not alone. Jesus says in John 16:33, "In this world you will have trouble. But take heart! I have overcome the world." Notice that He doesn't say that we might have trouble or that if we have enough faith we will escape it. He clearly states that on this side of heaven we will walk through difficult times in our lives. 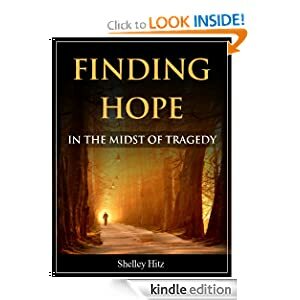 This book is my own personal journey to finding hope after a tragedy hit our family. However, I did not want this book to be my story alone. Instead, I want it to be a resource for you to find hope in the midst of your own difficulties. That is why I have added the sections that you will see through the book called, "From My Life to Yours," where I add journaling prompts and reflection questions for you to apply what you are learning to your life. I pray that God leads you to find His hope no matter what you are currently walking through. 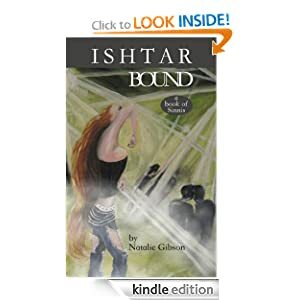 -- A terrifying vision in the dead of night begins one woman's journey into fear. Newly divorced, Sarah Meek has planned a vacation with her sister Katie. Only now an apparition of her dead father has appeared to warn her of danger. 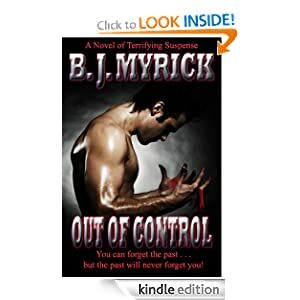 Could supernatural forces cross over into her world and take control of her life? Is some evil force imperceptibly, inch-by-inch, consuming her soul? Or is she losing her mind? Her sister scoffs at her vision and refuses to consider canceling their vacation. Sarah and Katie have car trouble on a remote back road and are forced to spend the night in an isolated campground where they meet Doyle Riley, a twisted man with a twisted past, and their dream vacation turns into a horrifying nightmare. As the sisters struggle to survive the night, a spectral wolf comes to their rescue and forever changes their lives. -- Kate Donovan is burned out on work, worn down by her dating relationships, and in need of an adventure. 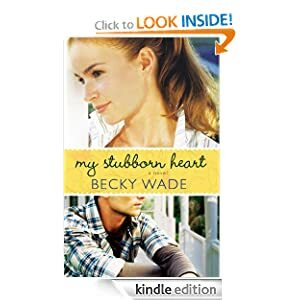 When her grandmother asks Kate to accompany her to Redbud, Pennsylvania, to restore the grand old house she grew up in, Kate jumps at the chance, takes a leave of absence from her job as a social worker, and the two of them set off. Upon her arrival in Redbud, Kate meets Matt Jarreau, the man her grandmother has hired to renovate the house. From the first moment she meets Matt, Kate can't help but be attracted to him--he's got a combination of good looks and charisma that draw and tug at her. But she knows there's zero chance of a romance between them. Matt's in love with his dead wife, and even if he weren't, Kate realizes that she's way too ordinary for him. For Matt Jarreau is no ordinary guy. Kate discovers that he was once a great NHL hockey player who left the sport when his wife--an honest-to-goodness former Miss America--was diagnosed with brain cancer. Matt's been hiding from people, from God, and from his past ever since. Yet Kate is absolutely determined to befriend him, to try to reach him, to help him in some small way. No, Kate's not looking for love. She knows better than that by now. But when the stilted, uncomfortable interactions between Kate and Matt slowly shift into something more, is God finally answering the longing of her heart? Or will Kate be required to give up more than she ever dreamed?